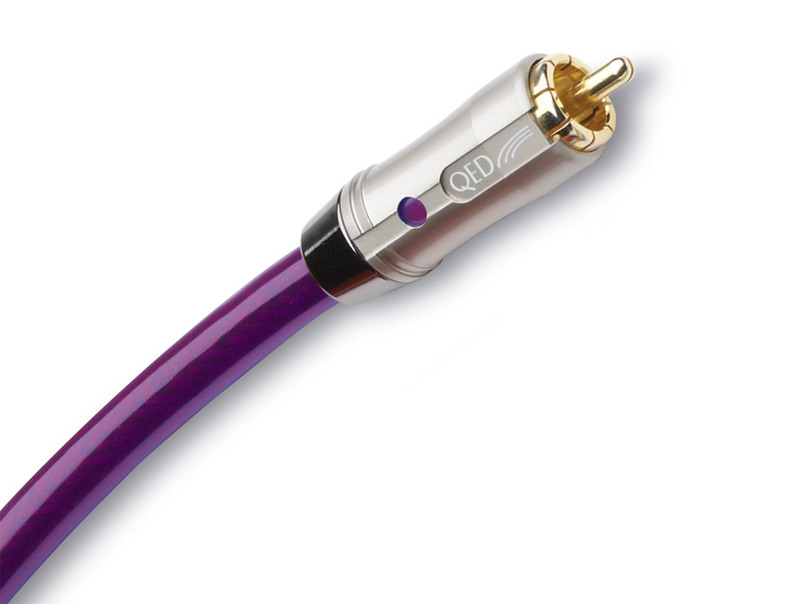 A quick look: This cable connects digital coaxial audio components with THX-certified technology. 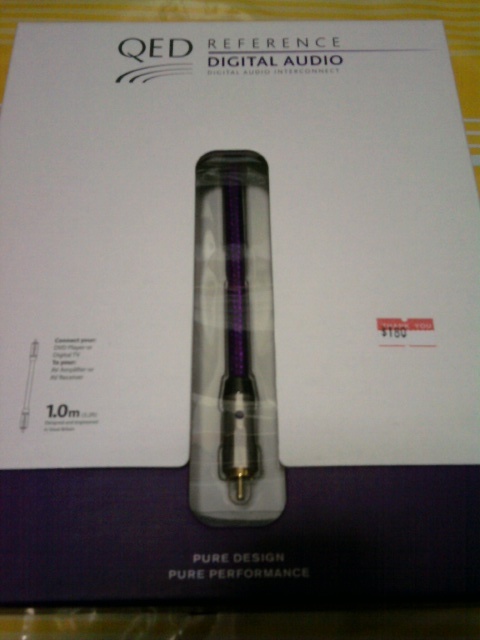 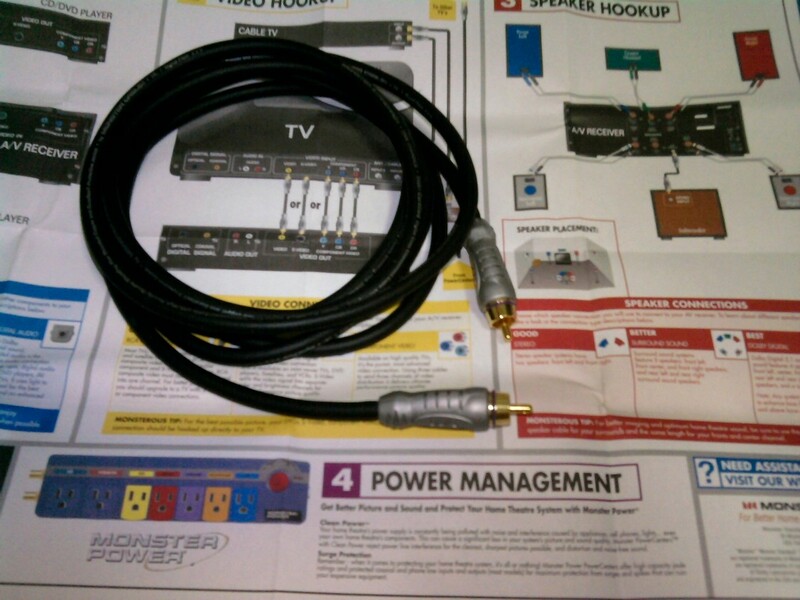 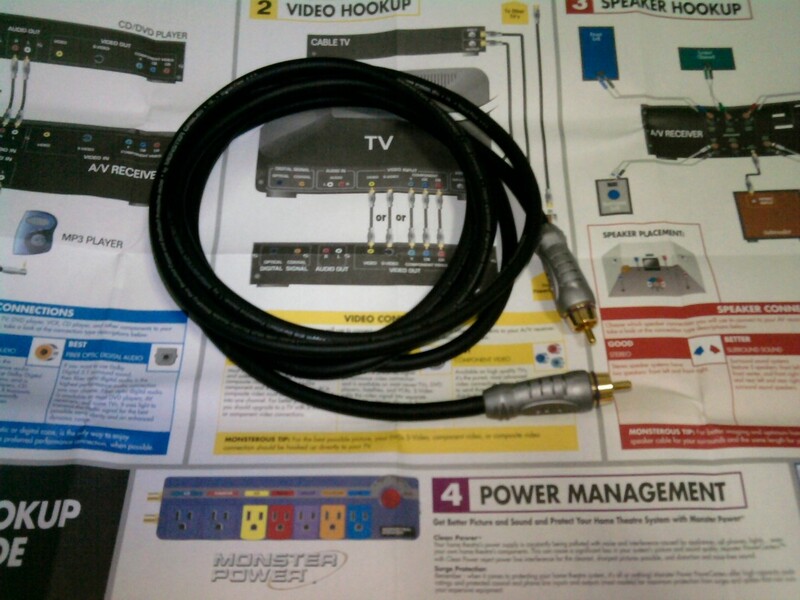 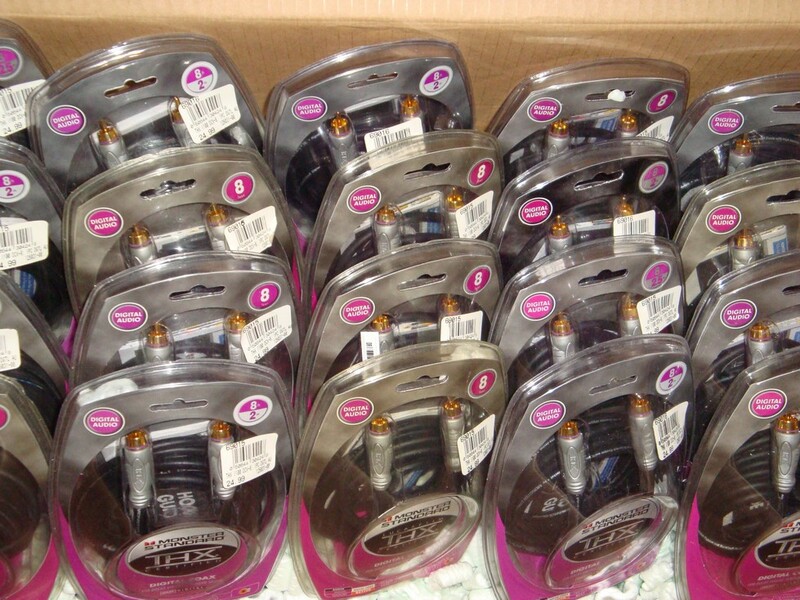 Monster® produced the I100 digital coax cable to stringent THX® standards, designed specially for home theater systems. 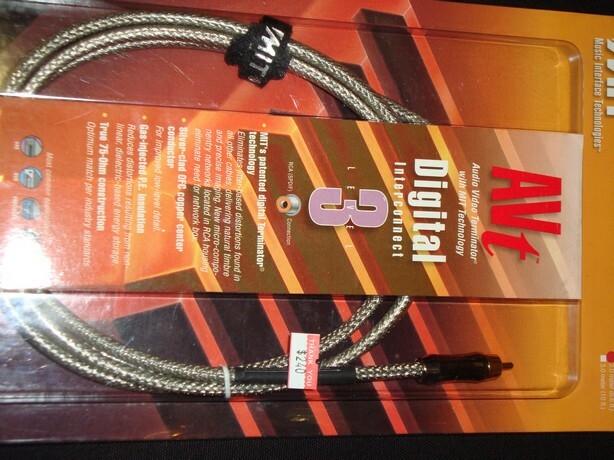 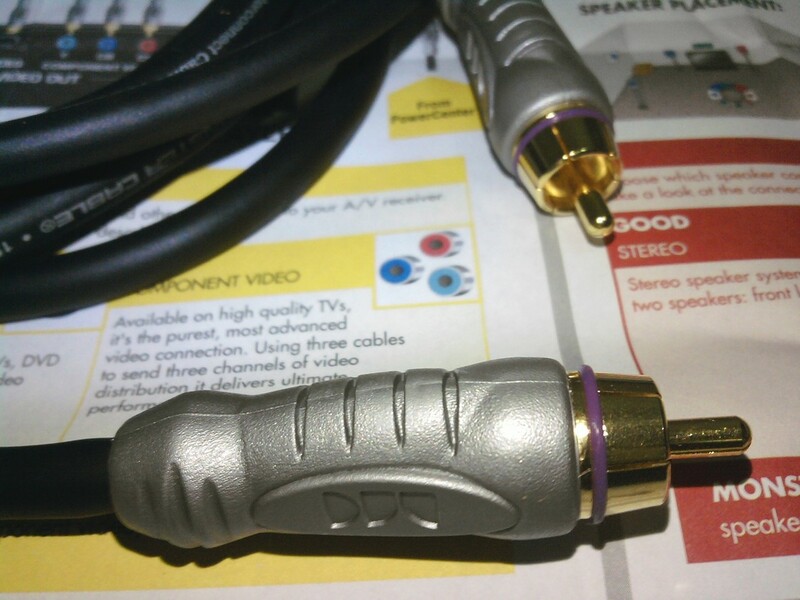 With this cable, you can connect the digital coax ports of a variety of components, including DVD players, CD players, and Dolby Digital receivers. 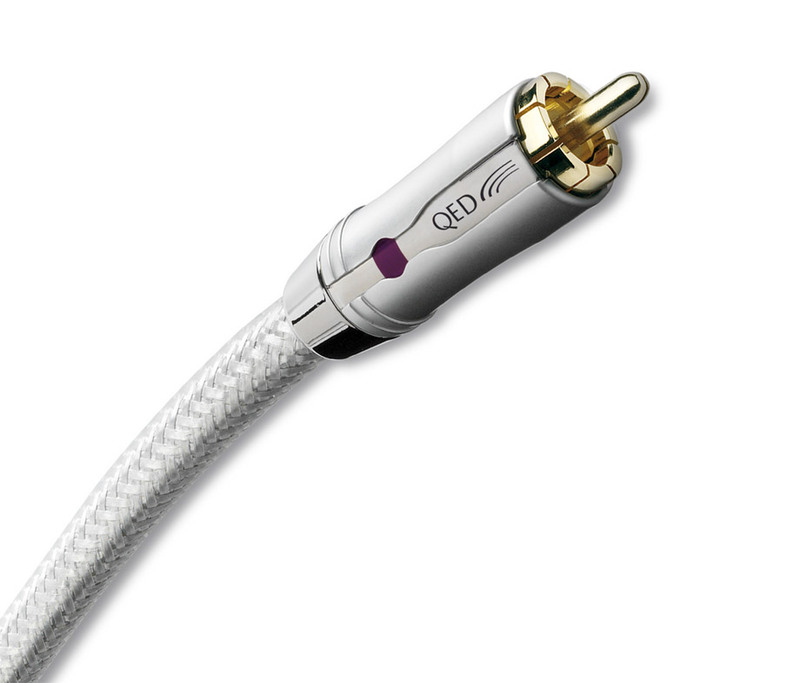 Offering a cleaner sound than the basic cables that come in the box, the 24k gold-plated split-pin design ensures high-quality signal transfer, while the double-shielded design protects it from Radio Frequency (RF) and Electromagnetic (EM) interference. 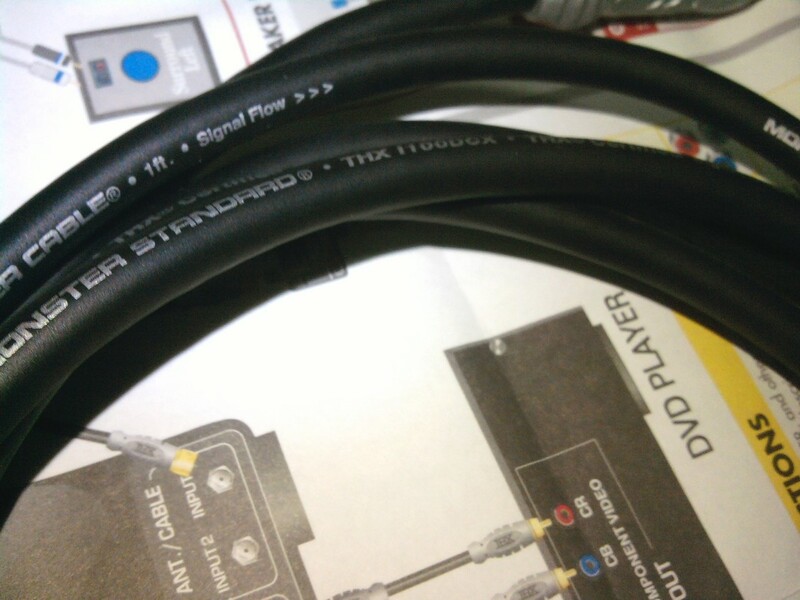 This is a "directional" cable, so be sure to pay attention to the signal flow arrows on the flexible jacket. 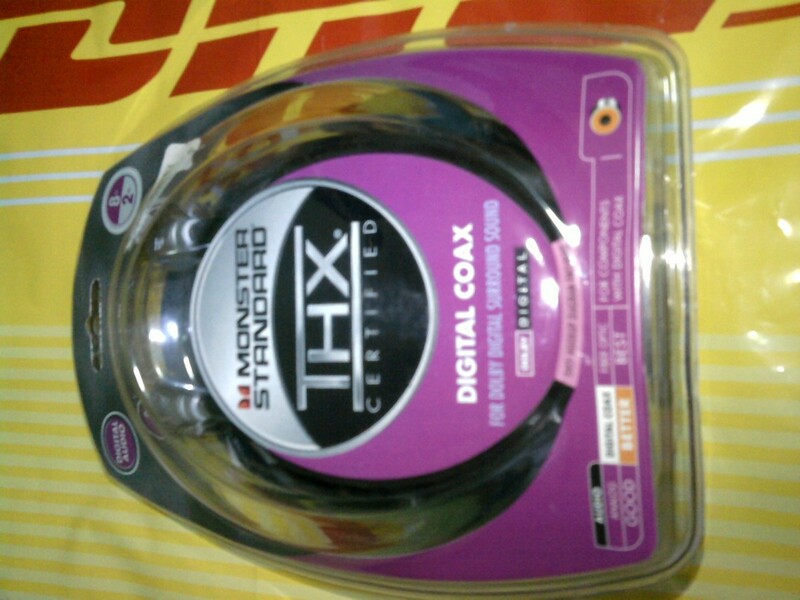 Enhance your multimedia experience with the THX I100 DCX-8 Standard® Digital Coaxial Interconnect Cable from Monster®. 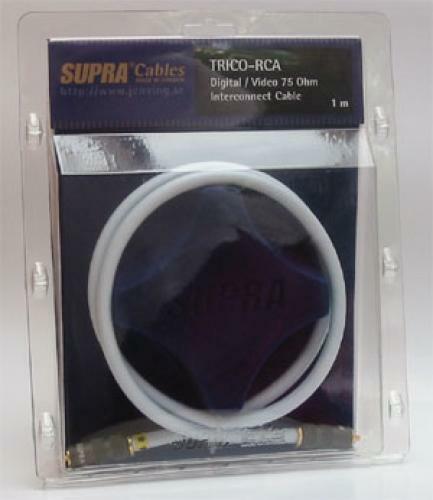 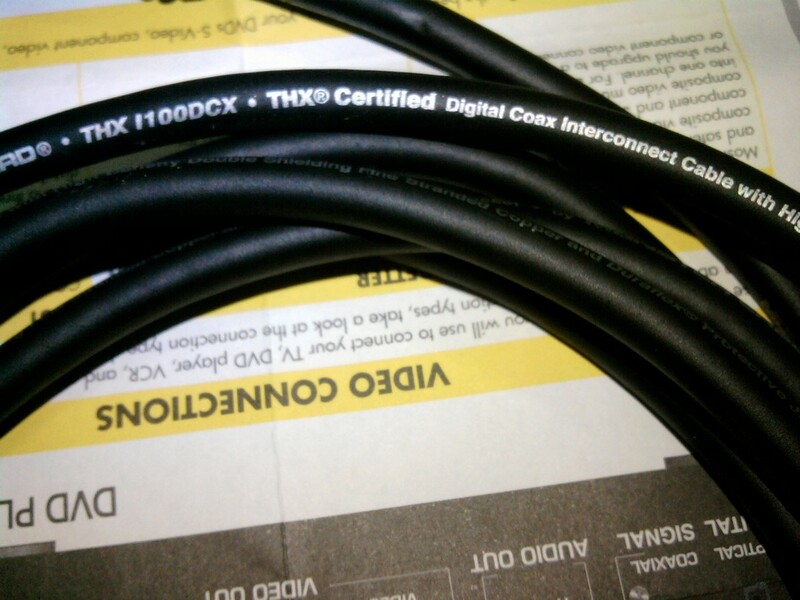 Specifically designed for home theater systems, this cable meets THX® certification standards. 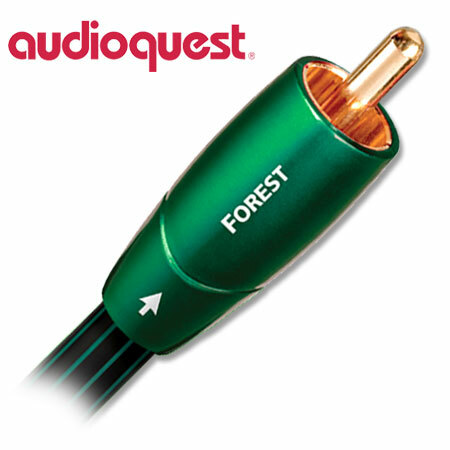 Features like high quality gold tip connectors combine with user-friendly features like color-coded connectors and ID labels for easy, error-free hookup. 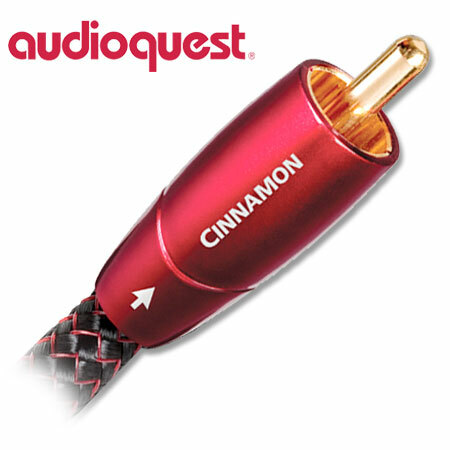 In addition, increased power handling of speaker cables delivers the full dynamic range of explosions and crashes found in movies. 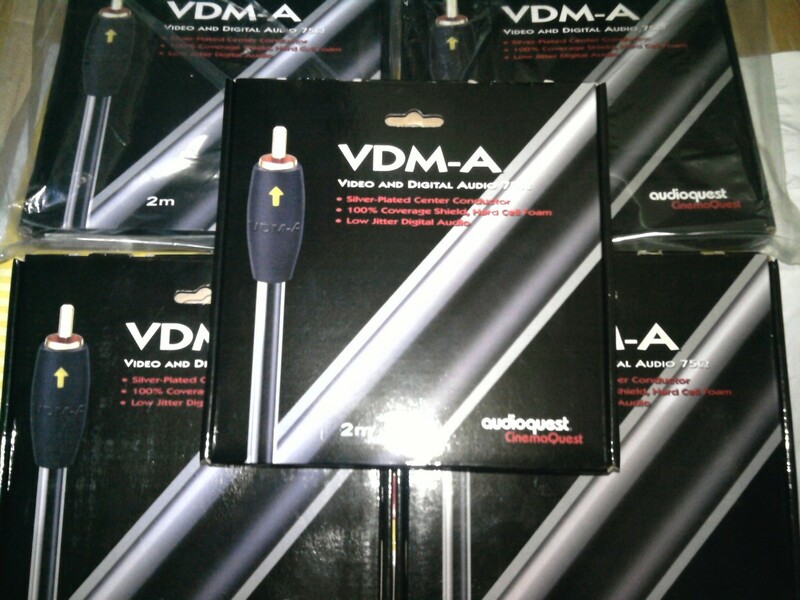 Measuring 4 feet in length, this cable boasts a high density double-shield for rejection of RFI and EMI. 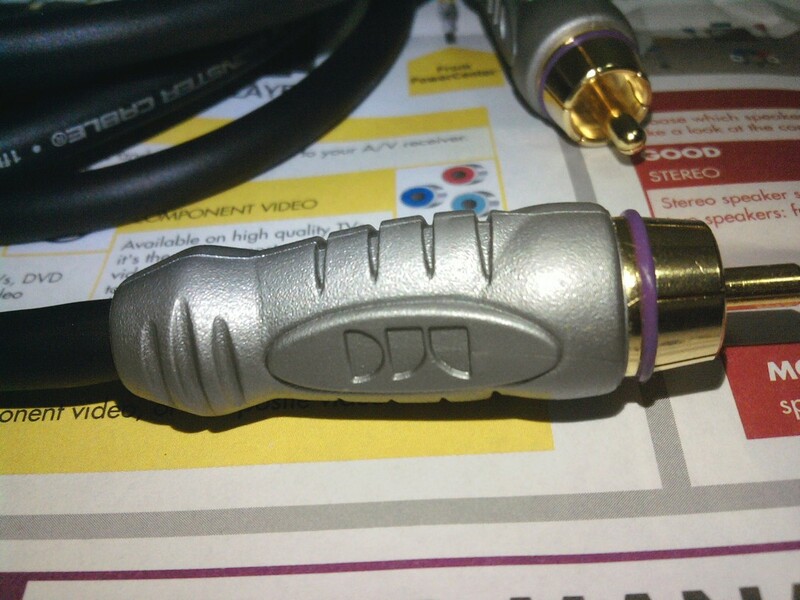 With a high-purity copper stranded coax, this cable enables you to enjoy movies with Dolby Digital® and DTS® surround sound.